Standing just over 10,400 feet, Lassen Peak makes an impressive sight on the skyline from Redding. A recent trip to Lassen Volcanic National Park with a gave me a new angle on the mountain. The Cascades are known for their imposing stand-alone peaks and still active volcanoes (think Mt. Saint Helens). 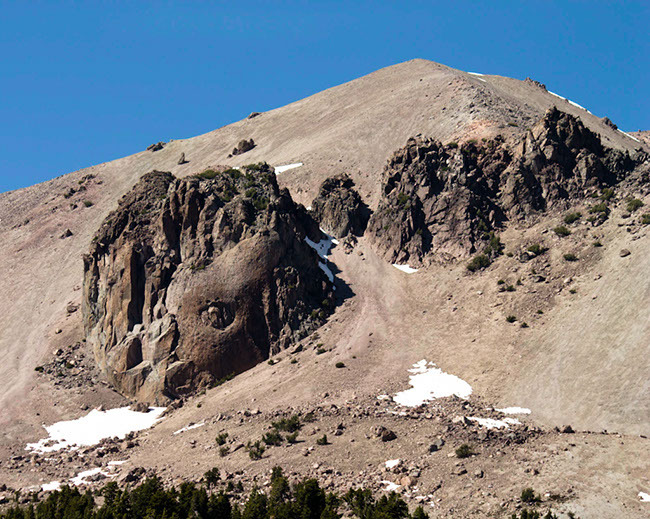 Although it’s the southernmost high peak in the range, Lassen fits the mold. Evidence of a violent eruption in 1915, and another in 1921, are still visible around the mountain. Impressive as the recent vulcanism is, another change is even more breathtaking. The ridge line you see extending toward Lassen Peak and the boulder-strewn foreground are shattered remnants of Mt. Tehama. 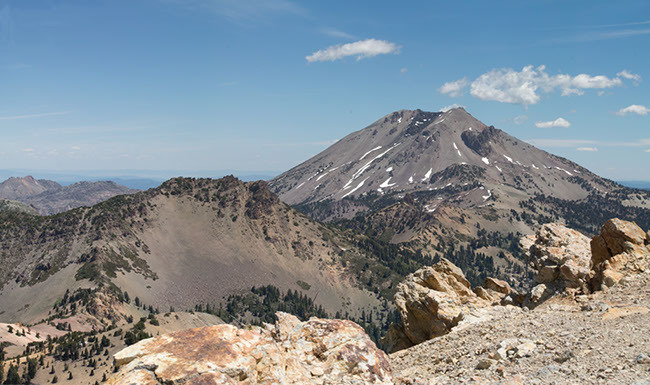 That volcano towered over the land at 12,000 feet before Lassen formed, and left behind the rest of the rugged scene that draws people to the park. The bare rocks and boulders atop Brokeoff Mountain don’t look like a particularly hospitable environment, but a little surprise proved otherwise. 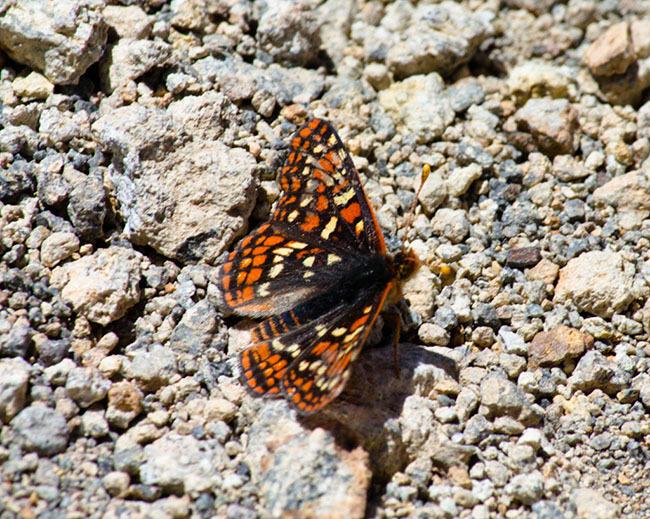 Dozens of unidentified Lepidopterans like this one fluttered all over the summit. If any entomologists happen to read this, help me out? Mountains like these are full of surprises, impressive vistas, and reminders of changes, both recent and long past. They have a powerful pull, which I try to give in to at every opportunity. Even when I’m stuck at low altitude, I can’t help but gaze in wonder. Sometimes I have to wonder: Are any mountains gazing back? Nice foots again Max. thanks for sending them. Looking foreword to seeoing you this Friday. Thanks Papa! I’m looking forward to it, too.